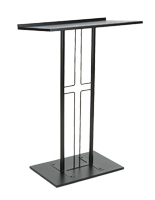 Choose a more stylish and modern place to keep your Bible with this cross pulpit. 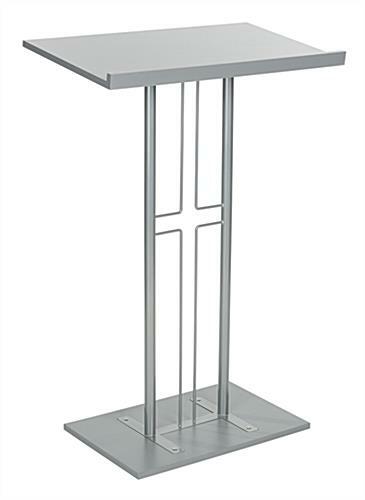 Made with a sturdy but lightweight material, this stand offers the simplicity and sleek design that other pieces of church furniture and lecterns may lack. 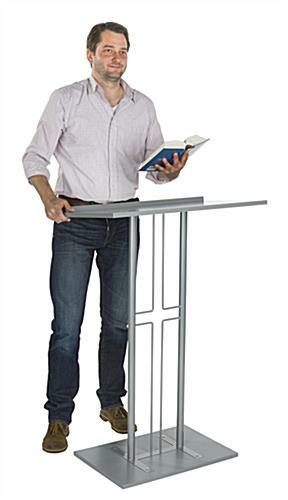 This silver pulpit features a lip on its surface to hold literature, your Bible or any other item you want on hand during your sermon. 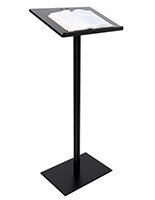 Unlike similar lecterns and church furniture items made from wood or other bulky materials, this stand is made from lighter components that make it easy to move and reposition. 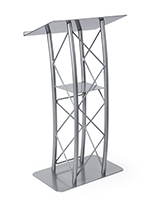 Due to its minimalist design, this pulpit is ideal for smaller venues where space is scarce. 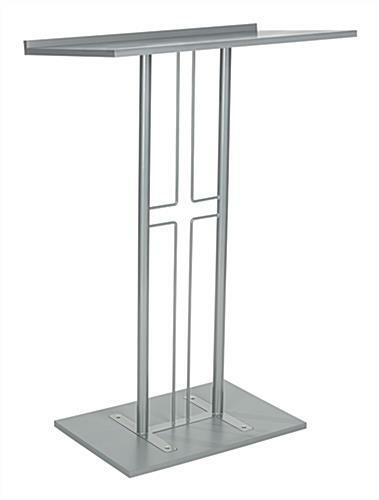 The steel posts used to make this stand sturdier and more resilient also make it a statement piece with its subtle shaping design constructed between the two poles. Happy with this stand, it was a gift for my boyfriend and everyone loves it!! What an incredible gift! Thank you so much for sharing your photo and writing this lovely review, Amber! 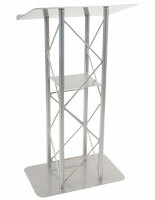 We're happy that he loves his new podium. 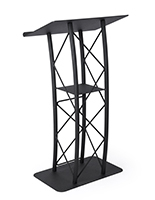 The altar stand is gorgeous and I am very satisfied. Hello Tamela, We agree, your alter does look gorgeous! Thank you for the review and sharing your photo with us. 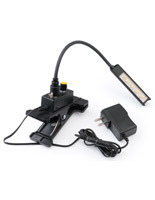 Great products, easy to assemble and quick delivery. 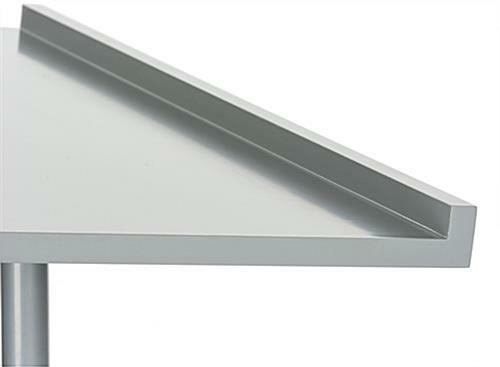 Hello, this product is of very bad quality, as the grooves are not deep enough to hold the product together. When you have one side screwed together and try to attach the other side to it, with the lecturn in the middle, the other side that you just screwed together falls apart and will not hold to the other side! 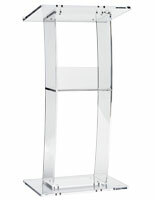 Besides that, the lecturn part that is supposed to be angled, is bent in the middle slightly! This is not a quality product and I must send it back. I am so disappointed! Do not purchase. I saw that others had poor reviews of this as well, and I did not listen to them, because the price was so low. 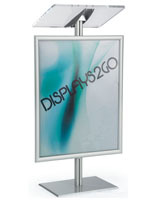 This product should not be offered or sold by you, "Displays To Go" as they are hurting your reputation. We are very sorry to hear that you had some issues assembling this product, Kevin. A customer service representative will reach out to you to resolve this issue shortly.